With iPhone6 about to be announced and who knows what else, there's a lot of controversy around iWatches. Motorola and Samsung already launched a smart watch, LG claims to be working on that. I was the one saying that wearable tech is well, mainly to be used for health and fitness purposes (like a suunto connected to the Mobile Network). My skepticism came mainly from the way these watches look like - when it's such an defining piece of a person's style - and the screen size. With an increasing trend towards larger and thinner devices, who would ever consider going to something tinier than my first 3210? 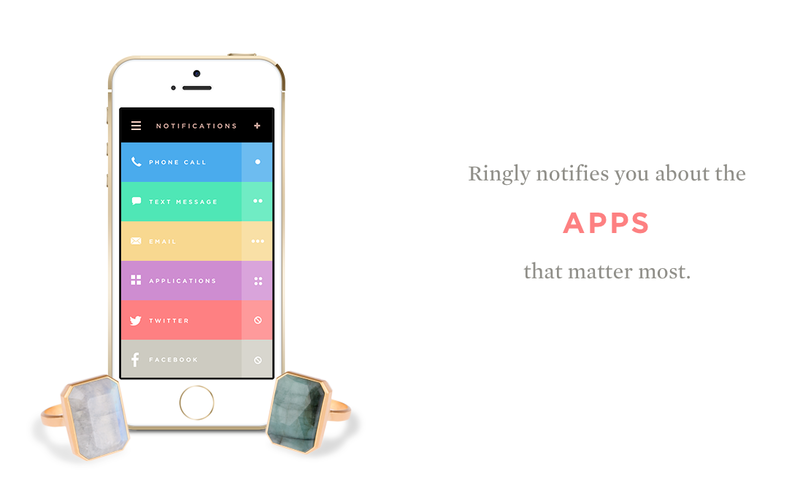 But hey as for wearables, Ringly just blew my mind. It seems that there are many more fashionable wearable devices coming, which is quite cool to see as they seem to have been envisioned by women. It's actually a nice ring which can match any fashionista, probably that's why both ELLE and Glamour Magazine recommend it. Natural gems, 18K gold-pleated, minimal timeless shape. 4. The finger vibrates and you realize what's going on, deep inside your purse. Bluetooth range is limited (6-9m) but hey, such sleek design with smart brains for $145 if you dare to preorder is not bad at all - will go up to $195 once it ships in the fall.